Village Plavé Vozokany is situated in the northeastern part of the Podunajská lowland on the eastern border of the Pohronská hilly country between the Žitava and Hron rivers. Village belongs to the Nitra country (district Levice) and is located to the southwest of Levice and to the west of town Želiezovce. To Plavé Vozokany belongs a village part Medvecké. Nowadays there live 980 inhabitants. The first written mention about village originates from the year 1327 when was owned by yeomen from Vozokany - Fako de Legényi, later by the Hunaydys, then by the Ordónys. In the year 1683 an evangelical school with a teacher Ján Laurentius is mentioned. The evangelicals had begun to build the church in the year 1782 and at that moment the village was flourishing thanks to agriculture. Two mills and seven blacksmiths were in operation. Village can be characterized as agricultural and nowadays this branch determines life of the village. Dominant of the village is the Evangelical Church, further the former curia of the Ordónys - the so-called manor house which belonged to elementary school for three decades. Nowadays this building with an underground wine cellar is used by the Agricultural Cooperative Plavé Vozokany. 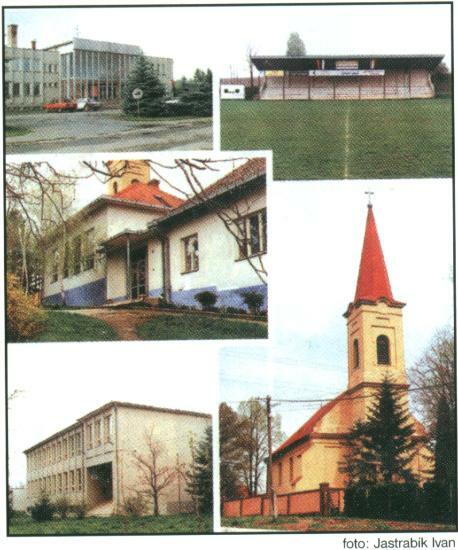 The biggest expansion of village was in the 1970s when the elementary school - a new building was constructed in the year 1974, the Cultural House - in 1976, reconstruction of the kindergarten´s building of more than fifty years´ tradition. It had been the first kindergarten in the district Levice, then grocery shop, a new sports area and other buildings were reconstructed and rebuilt. At that time village had finished the water-supply, the next year will be realized laying down the gas pipeline of the village. Village is proud of the folk group Vozokanka which represents the culture of our village together with the children´s folk group Vozokanček. Village is a traditional organizer of the folk festival together with villages Čaka and Kuraľany. In the year 1995 the Cenotaph of the World War I and II and surrounding fields were reconstructed. Three grocery shops, two pubs provide services to inhabitants. Near the village (12km) are located a thermal swimming pool Podhájska, a thermal swimming pool Santovka (25km), swimming pools Margita-Ilona (25km). Near the village (1km) is situated a pond with its extension of 24ha with opportunity of fishing and a forest called Leveled suitable for hunting. Village with its picturesque vine houses is integrated into the projects of the so-called Wine road of the Dolné Pohronie and the Južné Podunajsko. In sports football is more prefered than other sports with a new sports area, in the past ice-hockey and table-tennis. The Grocery - a mixed shop.